Just off Phan Dinh Phung Street is a small hostel that most days lives up to its name. The lobby and second floor kitchen/dining room are places you’d want to hang out and the very small dorm rooms of six or eight beds force you to get cosy with your roommates. The rooms are just big enough to fit the wooden bunks and not much else. There’s no space or privacy between beds either; if you enjoy space and like moving around, you are better off choosing another hostel. But what you do get are lockers big enough to fit a laptop and other valuables, polka dot linens, a respectable shared bathroom, WiFi, breakfast and friendly, accommodating English-speaking staff. 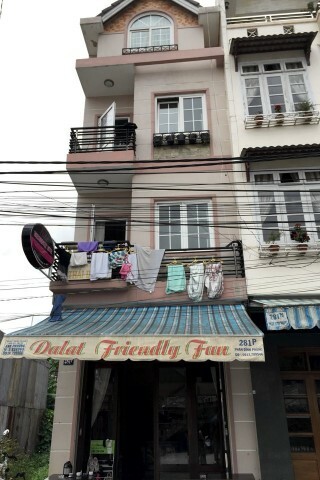 Check rates at Dalat Friendly Fun Hostel on Booking.com.